Social networking has redefined how we interact and do business ̶ especially in the world of procurement with both internal as well as external stakeholders. When I used the above statement as an introduction to a blog post back in 2009, many in the procurement industry failed to grasp the marriage between tweeting what you had for lunch, and using Twitter to source a needed product or service or perhaps establish a new relationship with a supplier or internal customer. Like the Acres of Diamonds fable in which the riches being sought by the protagonist was literally under his nose, the promise of social networks as a means of transforming information or intelligence into a real-time, globally connected reality that could deliver collaborative savings was also being overlooked. An irony in that information and intelligence are part of a real-time collaborative process that has actually been fueled by the growth of social networks and the specialty groups that operate within their platforms. Now at this point you may still wonder what Twitter (or for that matter any social networking platform) has to do with strategic sourcing. Perhaps this is the reason why an ever increasing number of companies have chosen to establish groups within both the public and private social networking worlds. Groups which facilitate the kind of one-to-one, and one-to-many interactions (be it negotiations or otherwise) that enable members to obtain, filter and ultimately gain the insight that impacts and enhances their capabilities to meet the demands of the increasingly complex world of global supply chains. Let’s look at Yammer as an example. Yammer is a freemium enterprise social network service that is used for private communication within organizations. Classified as an enterprise social software application, Yammer, which was purchased by Microsoft in 2012, is a powerful collaborative enterprise tool that is currently used by 80,000 companies worldwide, including 80 percent of the Fortune 500 group. In essence Yammer, and similar-type platforms as Carl Frappaolo and Dan Keldsen defined in a report written for the Association for Information and Image Management, deliver "a system of web-based technologies that provide rapid and agile collaboration, information sharing, emergence and integration capabilities in the extended enterprise." Within this context of needed adaptability my point is simply this; does the procurement world understand the true power of socializing strategic sourcing, or do we still equate it with tweeting our menu choice of the day? As the Editor and lead writer for the PI Social Media Network’s Procurement Insights Blog, Jon Hansen has written close to 2,500 articles, papers as well as five books on subjects as diverse as supply chain practice, public sector policy, emerging business trends and social media. Besides being a much sought after speaker internationally, Jon is also the host of the highly acclaimed PI Window on The World Show on Blog Talk Radio, which recently aired its 650th episode. 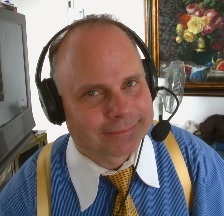 In August 2013, out of 15,000 hosts, Blog Talk Radio named Jon Hansen as one of their top 300 hosts.